Drug addiction is a brain disease that affects behavior. Drug addiction has well-recognized cognitive, behavioral, and physiological characteristics that contribute to continued use of drugs despite the harmful consequences. Scientists have also found that chronic drug abuse alters the brain’s anatomy and chemistry and that these changes can last for months or years after the individual has stopped using drugs. This transformation may help explain why addicted persons are at a high risk of relapse to drug abuse even after long periods of abstinence and why they persist in seeking drugs despite the consequences. Recovery from drug addiction requires effective treatment, followed by management of the problem over time. Drug addiction is a serious problem that can be treated and managed throughout its course. Effective drug abuse treatment engages participants in a therapeutic process, retains them in treatment for an appropriate length of time, and helps them learn to maintain abstinence. Multiple episodes of treatment may be required. Outcomes for drug abusing offenders in the community can be improved by monitoring drug use and by encouraging continued participation in treatment. Treatment must last long enough to produce stable behavioral changes. In treatment, the drug abuser is taught to break old patterns of thinking and behaving and to learn new skills for avoiding drug use and criminal behavior. Individuals with severe drug problems and co-occurring disorders typically need longer treatment (e.g., a minimum of 3 months) and more comprehensive services. Early in treatment, the drug abuser begins a therapeutic process of change. In later stages, he or she addresses other problems related to drug abuse and learns how to manage them as well. Assessment is the first step in treatment. A history of drug or alcohol use may suggest the need to conduct a comprehensive assessment to determine the nature and extent of an individual’s drug problems, establish whether problems exist in other areas that may affect recovery, and enable the formulation of an appropriate treatment plan. Personality disorders and other mental health problems are prevalent in offender populations; therefore, comprehensive assessments should include mental health evaluations with treatment planning for these problems. Tailoring services to fit the needs of the individual is an important part of effective drug abuse treatment for criminal justice populations. Individuals differ in terms of age, gender, ethnicity and culture, problem severity, recovery stage, and level of supervision needed. Individuals also respond differently to different treatment approaches and treatment providers. In general, drug treatment should address issues of motivation, problemsolving, and skill-building for resisting drug use and criminal behavior. 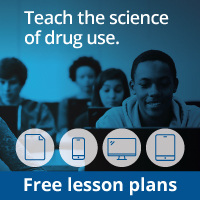 Lessons aimed at supplanting drug use and criminal activities with constructive activities and at understanding the consequences of one’s behavior are also important to include. Tailored treatment interventions can facilitate the development of healthy interpersonal relationships and improve the participant’s ability to interact with family, peers, and others in the community. Drug use during treatment should be carefully monitored. Individuals trying to recover from drug addiction may experience a relapse, or return to drug use. Triggers for drug relapse are varied; common ones include mental stress and associations with peers and social situations linked to drug use. An undetected relapse can progress to serious drug abuse, but detected use can present opportunities for therapeutic intervention. Monitoring drug use through urinalysis or other objective methods, as part of treatment or criminal justice supervision, provides a basis for assessing and providing feedback on the participant’s treatment progress. It also provides opportunities to intervene to change unconstructive behavior—determining rewards and sanctions to facilitate change, and modifying treatment plans according to progress. Treatment should target factors that are associated with criminal behavior. “Criminal thinking” is a combination of attitudes and beliefs that support a criminal lifestyle and criminal behavior, such as feeling entitled to have things one’s own way, feeling that one’s criminal behavior is justified, failing to accept responsibility for one’s actions, and consistently failing to anticipate or appreciate the consequences of one’s behavior. This pattern of thinking often contributes to drug use and criminal behavior. Treatment that provides specific cognitive skills training to help individuals recognize errors in judgment that lead to drug abuse and criminal behavior may improve outcomes. Criminal justice supervision should incorporate treatment planning for drug abusing offenders, and treatment providers should be aware of correctional supervision requirements. The coordination of drug abuse treatment with correctional planning can encourage participation in drug abuse treatment and can help treatment providers incorporate correctional requirements as treatment goals. Treatment providers should collaborate with criminal justice staff to evaluate each individual’s treatment plan and ensure that it meets correctional supervision requirements, as well as that person’s changing needs, which may include housing and child care; medical, psychiatric, and social support services; and vocational and employment assistance. For offenders with drug abuse problems, planning should incorporate the transition to community-based treatment and links to appropriate post-release services to improve the success of drug treatment and re-entry. Abstinence requirements may necessitate a rapid clinical response, such as more counseling, targeted intervention, or increased medication, to prevent relapse. Ongoing coordination between treatment providers and courts or parole and probation officers is important in addressing the complex needs of these re-entering individuals. Continuity of care is essential for drug abusers re-entering the community. Offenders who complete prison-based treatment and continue with treatment in the community have the best outcomes. Continuing drug abuse treatment helps the recently released offender deal with problems that become relevant after release, such as learning to handle situations that could lead to relapse, learning how to live drug-free in the community, and developing a drug-free peer support network. Treatment in prison or jail can begin a process of therapeutic change, resulting in reduced drug use and criminal behavior post-incarceration. Continuing drug treatment in the community is essential to sustaining these gains. A balance of rewards and sanctions encourages pro-social behavior and treatment participation. When providing correctional supervision of individuals participating in drug abuse treatment, it is important to reinforce positive behavior. Nonmonetary “social reinforcers,” such as recognition for progress or sincere effort, can be effective, as can graduated sanctions that are consistent, predictable, and clear responses to noncompliant behavior. Generally, less punitive responses are used for early and less serious noncompliance, with increasingly severe sanctions issuing from continued problem behavior. Rewards and sanctions are most likely to have the desired effect when they are perceived as fair and when they swiftly follow the targeted behavior. Offenders with co-occurring drug abuse and mental health problems often require an integrated treatment approach. High rates of mental health problems are found both in offender populations and in those with substance abuse problems. Drug abuse treatment can sometimes address depression, anxiety, and other mental health problems. Personality, cognitive, and other serious mental disorders can be difficult to treat and may disrupt drug treatment. The presence of co-occurring disorders may require an integrated approach that combines drug abuse treatment with psychiatric treatment, including the use of medication. Individuals with either a substance abuse or mental health problem should be assessed for the presence of the other. Medications are an important part of treatment for many drug abusing offenders. Medicines such as methadone, buprenorphine, and extended-release naltrexone have been shown to reduce heroin use and should be made available to individuals who could benefit from them. Effective use of medications can also be instrumental in enabling people with co-occurring mental health problems to function successfully in society. Behavioral strategies can increase adherence to medication regimens. Treatment planning for drug abusing offenders who are living in or re-entering the community should include strategies to prevent and treat serious, chronic medical conditions, such as HIV/AIDS , hepatitis B and C , and tuberculosis. The rates of infectious diseases, such as hepatitis, tuberculosis, and HIV/AIDS, are higher in drug abusers, incarcerated offenders, and offenders under community supervision than in the general population. Infectious diseases affect not just the offender, but also the criminal justice system and the wider community. Consistent with Federal and State laws, drug-involved offenders should be offered testing for infectious diseases and receive counseling on their health status and on ways to modify risk behaviors. Probation and parole officers who monitor offenders with serious medical conditions should link them with appropriate health care services, encourage compliance with medical treatment, and re-establish their eligibility for public health services (e.g., Medicaid, county health departments) before release from prison or jail.